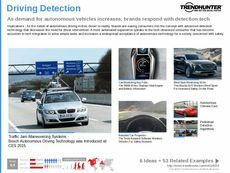 Find Better Ideas, Faster ® with a custom autonomous car trend report, our PRO Dashboard and 80+ categories of premium trend reports. The Autonomous Car Trend Report provides an in-depth summary of the most influential and critical patterns to have emerged in driver-less transportation. 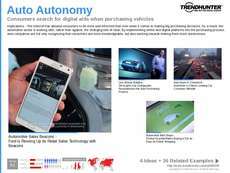 While autonomous technology may intimidate many consumers and brands, the report's research is easy to digest and understand, showcasing concepts applicable in numerous consumer experiences. 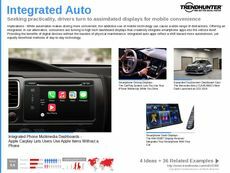 You'll discover how drivers are customizing their in-car experiences, car entertainment and navigation options through this breakthrough technology. 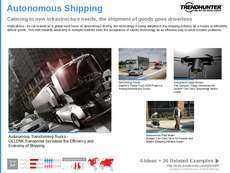 This report is incredibly resourceful for professionals within the auto and transportation industry looking to integrate autonomous features into their own products and designs. 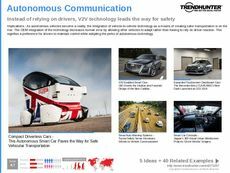 Whether you're looking for more information or research on the applications of this cutting-edge technology, the Autonomous Car Trend Report will educate your team and inspire them to conceptualize its applications.